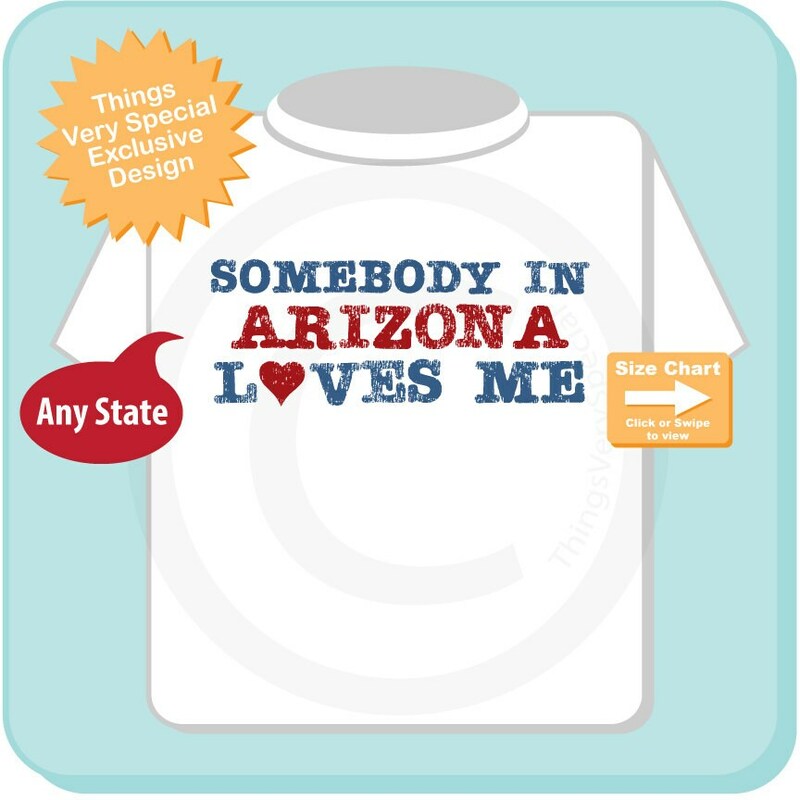 A Super Cute Somebody in Arizona( or any State) loves me design. 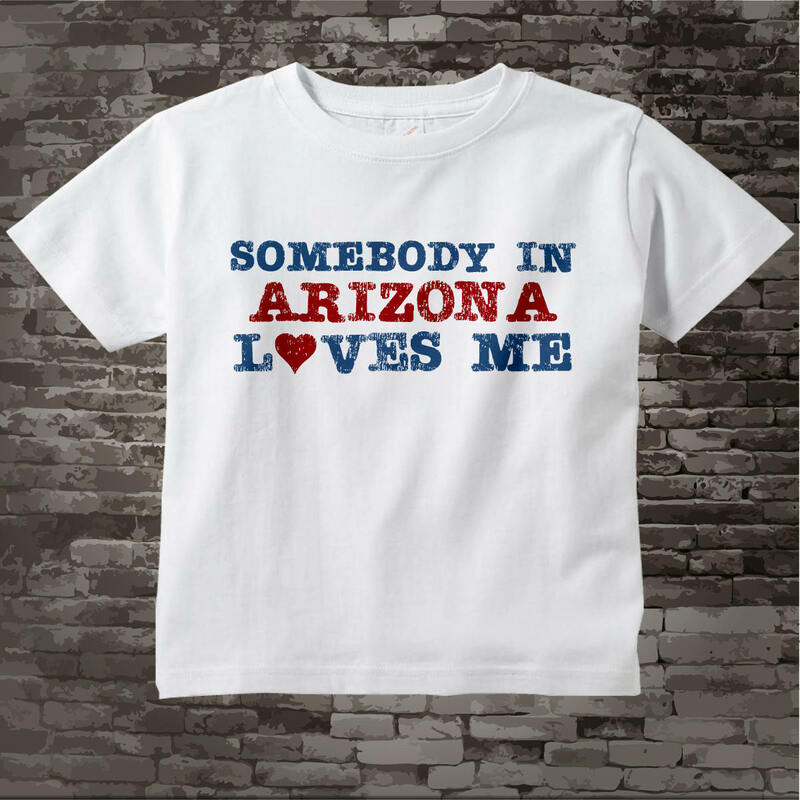 Bold blue and red lettering is great for boys or girls. My niece lives in Florida, most of the family lives in New Jersey. 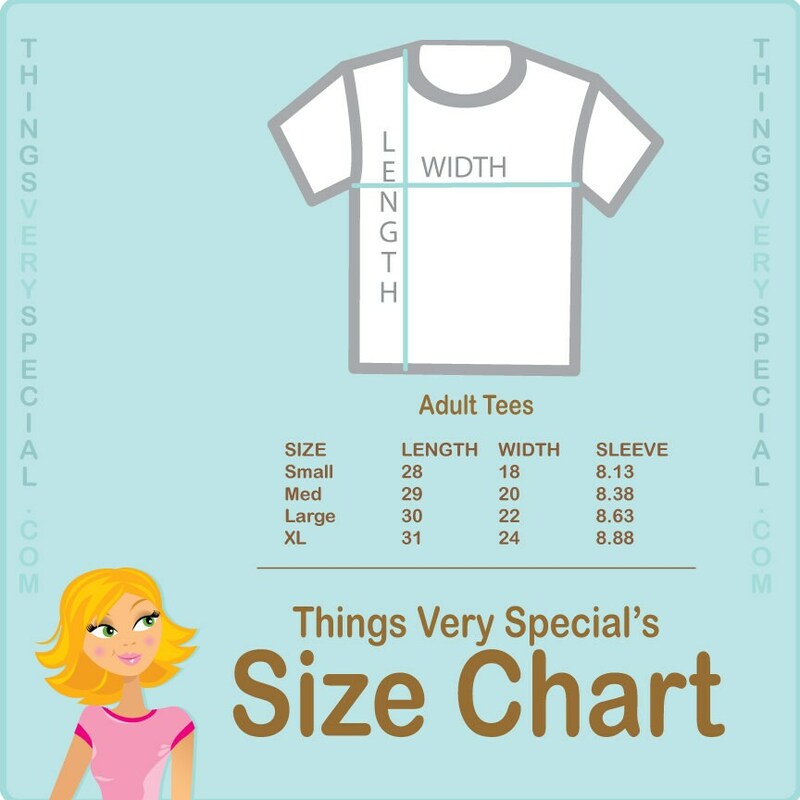 Sent this for my great-nephew and my niece (his mom) loved it!